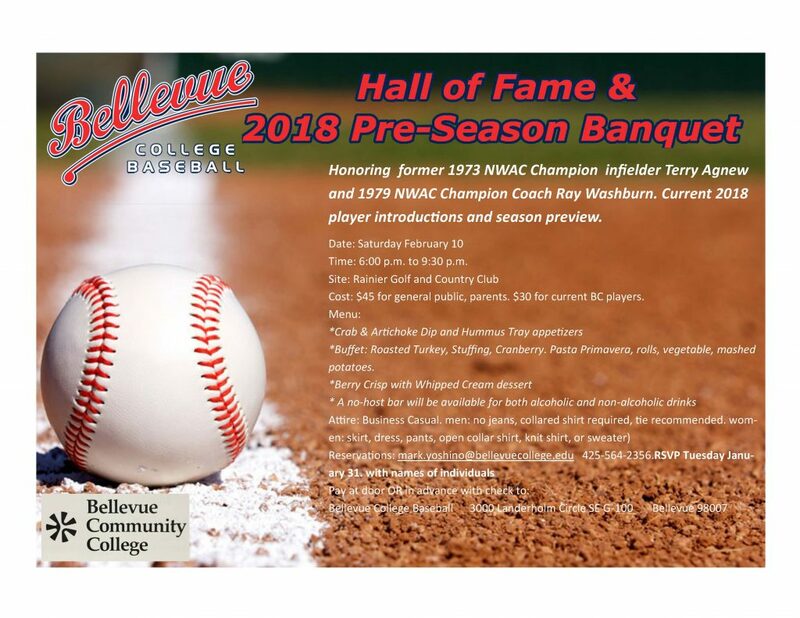 Bellevue College baseball will honor the past and present by inducting Ray Washburn and Terry Agnew into the Bellevue College Baseball Hall of Fame. They will join former Bulldog and Major Leaguer Jason Ellison who was inducted in 2013. Following the presentation and words from both inductees, the evening will also serve as a pre-season dinner for the current 2018 club. Introductions of each member of this year’s club and a pre-season talk by the coaching staff will be featured at the event. Washburn, the former longtime Coach and then Athletic Director at Bellevue, has been an iconic baseball figure both on the local scene with his NWAC Champion 1979 club that he coached, but also on the national scene as a holder of two MLB World Series rings as a member of the St. Louis Cardinals. Agnew, the NWAC batting champion in 1972, led his Bellevue squad to the NWAC title as a sophomore before a long and successful career as the Coach and Athletic Director at Woodinville HS. The ’73 and ’79 titles were the lone baseball championships captured by Bellevue before the 28-year drought was ended in 2007. Reservations: mark.yoshino@bellevuecollege.edu 425-564-2356.RSVP Tuesday January 31.